Mariah Studinski’s words echo the sentiments of many who have taken part in the Peruvian mission through St. Bronsislava Parish in Plover. 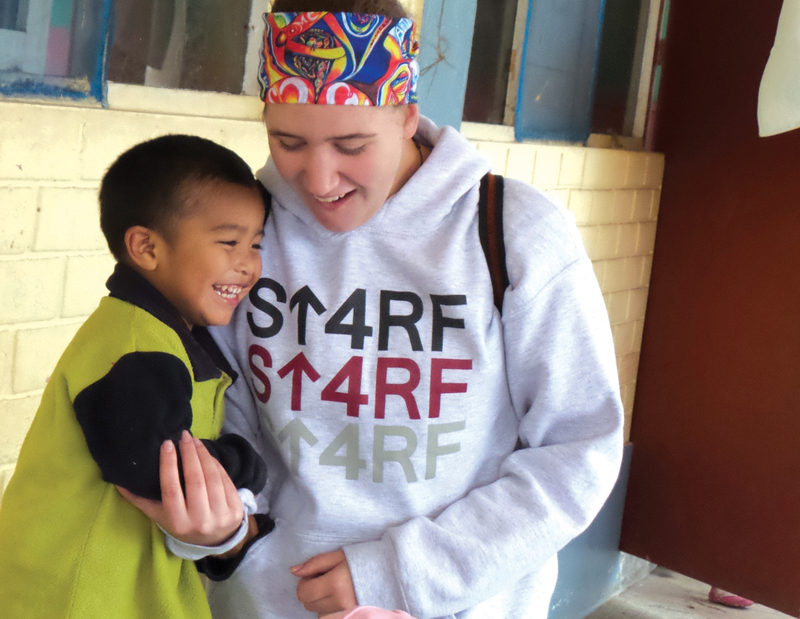 Since 2008, Julie Studinski, director of the Youth Ministry at St. Bronislava, has organized youth missions to Lima, Peru. She takes a group of 15-20 young adults every other summer, including the company of her daughter, Mariah. During the two-week trip, the group stays and does most of their work at the La Crosse diocesan mission in Lima, Casa Hogar Juan Pablo II, performing various tasks ranging from spending quality time with the children and families to clearing land for a garden and building a fence for keeping out wild dogs. 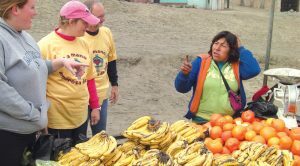 On their second mission trip to Peru in 2010, the group took a chance suggestion from Julie’s friend in Peru, Sister Catherine Kieliszewsiki of the Third Order of St. Francis. She recommended they visit another orphanage, sorely understaffed and in one of the poorest areas of Lima, called Comunidad de Niños Sagrada Familia. Sister Catherine shared the story of Miguel Rodriguez founding the orphanage in 1989 to give a loving home to abandoned and neglected children, many exposed to drugs, violence and prostitution. Miguel opens his doors to children of all ages, providing for them the very basic necessities. In 2010, the orphanage housed 900 children; now it is up to 1,100, ages newborn to 19. 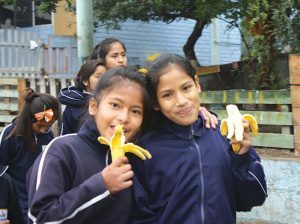 In Peru, the American dollar is strong, so the 900 bananas and oranges only cost the group $110. But the act of supporting the local vendors was huge! They later learned that the amount of fruit they had purchased was what the vendor would typically sell in an entire week. The excitement didn’t end in the market. The youth brought the heaping bags of fruit back to the children, who stood “in lines so deep you couldn’t even see the end,” reflects Rasmussen. 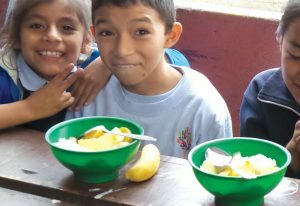 “Seeing the gratitude these children expressed after receiving a single piece of fruit was so moving … It was so eye-opening how something so simple made such an impact on their day.” Fruit was a rarity for the children, made clear by the fact that many of them had no idea how to peel the oranges or bananas; the group helped with that, too. Upon their return home, many of the teens couldn’t stop thinking about their time at Sagrada Familia. They didn’t want the experience to be a fleeting memory; rather, they took their mission seriously and instituted a plan to build a relationship with the orphanage and to keep giving back. “Our missionaries came up with the idea to use money earned from something as simple as tin cans to buy fruit. They were able to get a local business to donate a can cage and then they campaigned to the parish members to drop off all cans for the children of Peru,” Julie explains. It worked. 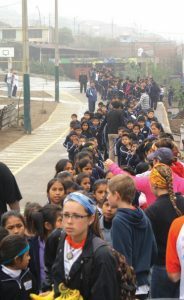 Since 2010, the youth have sent more than $5,000 to Peru from the can drive alone. 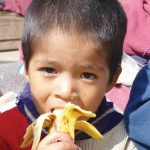 The continuous fundraising effort buys a piece of fruit for each child at the orphanage at least once a week. On return trips, the group has also been able to see other improvements thanks to their fundraising efforts, including a kitchen and additional school and dorm rooms. In 2011, a year after beginning their tin can drive, St. Brons youth decided to dig through the garbage at their parish festival to retrieve tossed cans. Mariah, then a middle-schooler who had already taken two trips to Peru, really struggled with the task, noticing all of the half-eaten food just tossed away. Her mind turned to Peru.